What’s Buzzing? So you can now enjoy your croissants and coffee in a glamping style no less. The latest hangout place in town is Tiong Bahru Bakery Safari, right in front of Open Farm Community. The whole garden space has transformed tremendously over the years and has now evolved into a mini safari literally, less the lions and tigers of course. What to expect? An open concept dining space with cosy corners which resembles a part of a posh glamped tent hotel. However, it depends on your luck as which table you are assigned to. There are also communal tables in the middle of the huge tent which feels less glamped, if we were to put in that way. The menu is pretty much the same as other TBB outlets, where you can get your usual Kouign-amann or croissant fix. If you are concerned about the temperature inside the tent, there is no air-conditioning, though we feel that the number of fans and well-ventilated design work quite well to keep the dining experience as cool as possible. As with other TB outlets, make your orders at the counter and wait for your coffee and food to be served. Overall Experience Expect a mix of expat and local crowd, and we mean an overwhelming one. During our early morning visit on a weekend, the lines to enter are long and the situation within the tent is chaotic. 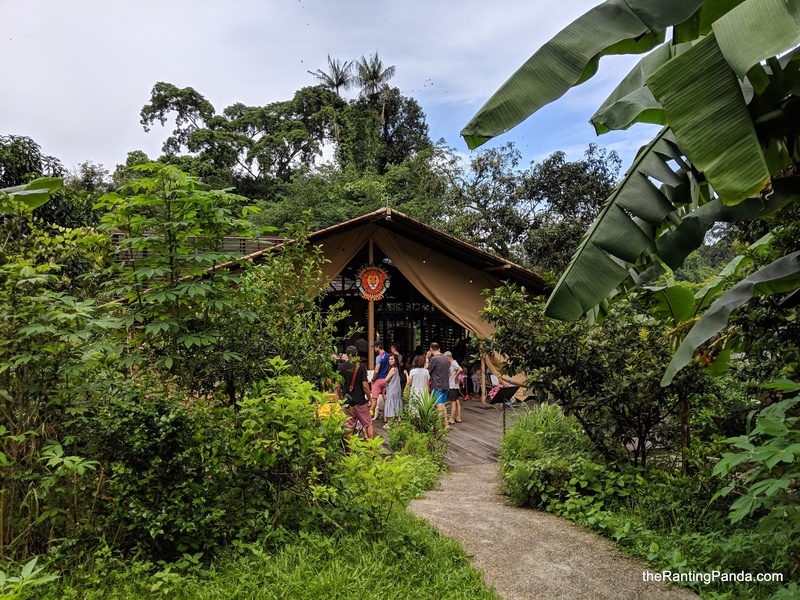 It it a good thing for the business and a very successful use of the vast space to create this novel and glamp dining concept, but the staff are not prepared for the crowd. We witnessed staff who are flustered in clearing tables, and even to the extent of rushing to take orders at the counter while compromising on service standards. The kitchen also reached a tipping point where they ran out of ceramic cups (or not washed efficiently) and our coffee was served in a takeaway cup instead. Not a very glam experience for us, we say.